A running shoe revolution has been afoot for the past few years, but only recently has a wide variety of lighter, more minimally designed shoes hit the stores. Why the dramatic changes? Research has confirmed that lighter, more flexible, lower-to-the-ground shoes enable feet to move similarly to how they move when barefoot, and that allows the most natural and efficient form possible. We found—and tested—some of the latest technology for runners to understand their every move and know the meaning behind each step. 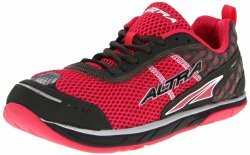 A less experienced runner seeking extra stability on mildly rugged terrain or smooth rolling trails. With an extra-wide base and a copious amount of cushioning, the XR Mission serves up a stable platform on uneven terrain by creating maximum contact with the ground. Built in the likeness of a softly cushioned road-running shoe, the ride is as soft and plush on dirt roads and smooth rolling trails as it is on pavement. It’s not as light or low to the ground as some of its contemporaries (and it has a relatively high 10 mm heel-forefoot differential), but its additional girth absorbs sharp objects underfoot and fends off sidewall abrasions with ease. This low-profile off-road fiend is the ultimate high-speed racing flat for the trails. 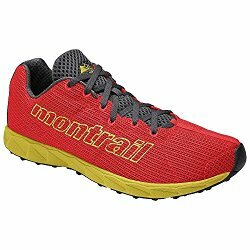 It has a lightweight, easy-flexing demeanor that promotes high-cadence running on smooth trails and allows a runner to nimbly dance over roots and rocks like a mountain goat. A race-ready snugness, a thin layer of foam cushioning, and a matrix of low-profile outsole lugs combine for a stable connection to the ground underfoot and the ultimate performance-oriented fit. The Rogue Fly has a relatively high 10 mm heel-forefoot height differential, but it’s a performance-enhancing design; the low-to-the-ground forefoot aids in a runner’s ability to feel the ground and run nimbly when high-speed handling and sure-footedness is crucial, while the slightly thicker heel comes in handy for controlled braking on steep descents and an extra layer of comfort for long runs. A trail runner who regularly runs on rugged trails strewn with rocks, logs, and other debris. The Spark is a surprisingly light and agile shoe built for technical mountain trails, one that offers a good amount of protection and durability without sacrificing the flexibility needed for nimble movements and precise footsteps on craggy trails. One of the keys to the Spark’s agility is its moderate heel-forefoot drop (only 6 mm), which helps ensure flat, stable foot placements on unstable terrain. It also has a snug heel and midfoot fit and a slightly wider toe box that allows for the inevitable toe stubbing and foot swelling on rugged mountain routes. The low-profile outsole lugs offer good traction on a variety of surfaces and, combined with a flexible nylon protection plate buried in the midfoot, keep sharp objects from painfully poking the bottom of your feet. A race-fit runner with dynamic core strength and good form who is interested in running fast times in everything from a 5K to a marathon. Long known for hip teen sneakers and firm-your-buns fitness shoes for soccer moms, Skechers turned heads by entering the performance running category and signing 36-year-old, 2004 Olympic silver medalist Meb Keflezighi in the summer of 2011. 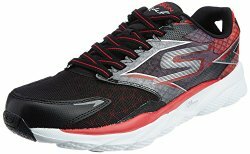 With Keflezighi’s help, Skechers designed a superlight shoe with a unique rockered (convex) outsole and a 4 mm heel-forefoot differential that encourages a centered foot strike and the efficient, upright running posture and forward momentum that go along with it. This shoe has a soft ride like a traditional training shoe; the get-up-and-go of a racing flat; and the lithe, barely-there feel of a modern minimalist shoe. As for Keflezighi, he won the U.S. Olympic Trials marathon on January 14 in Houston and will be racing in a pair of red, white, and blue GOrun in the Olympics this summer in London. The 1080 v2 is a good example of a shoe that has been updated for the better. Taking some of the elements of its uber-minimalist Minimus line of shoes, New Balance incorporated lighter, more responsive midsole foams; a lower-profile heel (and a moderate 8 mm heel-toe drop); and a wider toe box for natural forefoot splay into the second incarnation of this neutral-cushioned model. The changes were subtle but significant, resulting in a high-mileage trainer that encourages good running form (by reducing high-impact heel striking) without forgoing the cushion, comfort, and support most runners want (and need) for long-distance running. The PureCadence is one of a new generation of shoes that enables a stable ride by first focusing on a runner’s gait—namely by getting the runner to land with a lighter midfoot strike instead of a heavy heel strike. The relatively flat profile (the PureCadence has a 4 mm heel-forefoot differential), wide outsole, and unobtrusive foot-stabilizing midsole platform all play a role in creating a smooth transition from impact to liftoff. That it’s also very light, has a plush interior, and offers a cushy ride are a few other ways it avoids the confined feeling of a traditional stability shoe. For years, running shop employees Golden Harper and Brian Beckstead were helping runners nurse their way back to health from common overuse injuries by trimming most of the foam out of their traditional trainers. 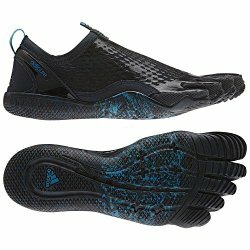 The idea was to get them into a level, or zero-drop, platform (meaning the foot sits level between the heel and forefoot) that simulates the natural movements of a barefoot running gait while still offering some of the necessary protection and cushioning for running on roads. Their insights led to the Instinct (and the women’s Intuition), which offer a common-sense approach to barefoot-style running shoes (thanks to 10 mm of semifirm cushioning underfoot) with a bulbous foot-shaped forefoot design. The extra roomy toe box allows the metatarsal arches to naturally spread upon impact, allowing a runner to maximize muscle activation in the feet and lower legs to mitigate shock absorption and enable optimally efficient form. A poster child for the modern minimalist movement, the Road Glove (the women’s version is called the Pace Glove) is a stripped-down running shoe that encourages a primal connection with the ground. With a zero-drop design profile, a miniscule amount of cushioning (a mere 4 mm of firm, compression-molded EVA), and virtually no structural support, this shoe demands a natural, midfoot-style running gait—heel-striking would be very painful on hard surfaces in this shoe. The thin amount of material lets your feet “feel” the ground for better proprioception, and a durable Vibram rubber outsole provides good traction while also offering protection against gravel, pebbles, and other small items that could otherwise be quite painful when stepped on. Interested in training for a race with a simple but very effective custom-tailored training plan? The Runner’s World SmartCoach app, powered by Training Peaks, can create an individualized training plan up to 16 weeks long for distances from 5K to the marathon. After answering a short questionnaire about your running goals and background, it uses proven training methodology to create a program just for you, with daily workout suggestions and advice at your fingertips. From the ultimate route-mapping site, this app allows a runner to track and save data from a run—interactive maps, photos, videos, elevation profiles, etc.—and share it with others in a worldwide community atwww.mapmyrun.com. The app also comes with access to website features like nutritional plans and the ability to challenge other runners. Any good running coach worth his or her salt will tell you that you need to know the course—and train for its specific features—if you expect to run your best race. This free app puts the biggest and fastest growing half-marathon and marathon series in the U.S. right at your fingertips. In addition to helping you choose your next race, the app gives you access to course maps and elevation profiles, training suggestions, and social media comments from other runners. This app can turn an iPhone into a motivational running coach. Not only can it suggest and track workouts and give detailed feedback about your fitness, but it also has audible announcements and reminders to encourage you along the way. With this app, you can share your training and racing data with others via social media or just save the maps, graphs, and charts of your efforts for future comparisons. Don’t write off corded headphones as a thing of the past just yet. Yurbuds has taken running headphones to a whole new level with the iPod- and iPhone-compatible Ironman Inspire Pro. With a three-function, in-line control, the Inspire Pro allows quick, one-handed volume adjustments and song changes on the fly. Plus, an in-line microphone allows you to take iPhone calls in stride. 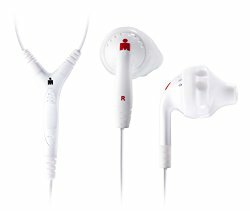 But perhaps the best aspect is the secure fit of the customizable ear buds—a variety of sizes are available, and two sizes come with each unit—that snugly and safely fit just outside the opening of the ear and channel sound directly into the ear canal. Welcome to the sensible, intuitive modern running watch. The Ironman Run Trainer is loaded with runner-friendly features, including a large, easy-to-read (and customizable) display, hydration/nutrition reminders, pace alerts, and a quick-touch night light. 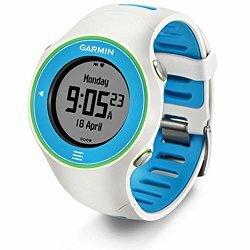 It knows exactly when you've run one mile, two miles, three miles, etc., so it can take splits during a race or run without the user having to push a button. With an ANT+ compatible foot pod or heart-rate sensor, it tracks real-time pace, distance, altitude, and heart-rate data that can be seamlessly downloaded for analysis in TrainingPeaks software. Running with music can put a charge in your stride, but carrying even smallish devices and managing headphone cords can be annoyingly cumbersome. Wearing an iPod Nano is a no-brainer because of its diminutive size, but wearing it on a wristwatch-style band like the Blackout LunaTik can reduce the hassles even more. Simply plug in the headphones and run the cord up your arm under your shirt and you’ll be running hands-free with your favorite tunes amping you up. Changing playlists, adjusting the volume on the run, and getting workout data feedback (via shoes enhanced with the Nike+ platform) is a breeze midstride. Sometimes you can’t leave your phone behind, even while you’re running. But as much as an iPhone can keep you connected while also blasting your favorite tunes, it can be quite cumbersome and heavy several miles into a run. The sleek FastFit Armband comfortably secures an iPhone to your upper arm with a breathable stretchy wrap closure that allows an easy-to-adjust, customizable fit. A cable capsule pod helps keep headphone cords organized and out of the way. 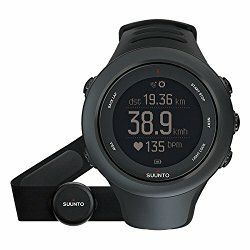 The latest and greatest do-everything adventure/fitness watch for trail runners, the Suunto Ambit uses a full-feature, accelerometer-integrated GPS that accurately tracks pace, speed, and distance, while a heart-rate monitor tracks heartbeats from a comfortable chest strap. All GPS devices are prone to big fluctuations in speed reporting based on discontinuity to satellite connections, but instead of "smoothing" (a.k.a. reporting an average pace over several seconds), the Ambit uses a process called FusedSpeed, which combines GPS-derived figures and real-time 3D accelerometer data based on your arm swing rate to provide consistent pace read-outs. The Ambit also tracks barometric pressure, temperature, altitude, and can, with a 3-D compass, record movements in topographic detail. 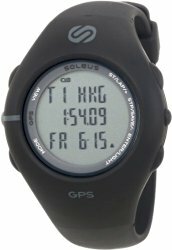 It might be a bit too much watch for someone training for a marathon, but it’s an essential piece of equipment for a data-savvy mountain runner training for an ultra-distance race like the Hardrock 100 Endurance Run in Colorado’s San Juan Mountains. 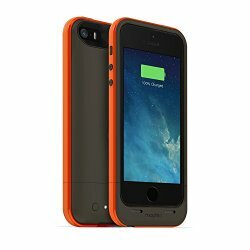 The Mophie Juice Pack Plus is the ultimate trail runner’s control panel. Bundled with the free Mophie Outdoor app and contained in a lightweight external hard shell, it transforms an iPhone into a dedicated GPS receiver that tracks elevation, distance, and geo-referenced data (for example, exact coordinates of photos you take on a scenic trail) on an epic run in the mountains or a simple run around your neighborhood. 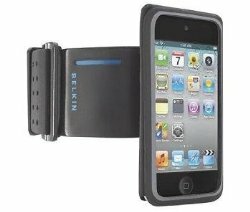 It also adds a layer of protection, while a built-in rechargeable backup battery doubles the charge-life of the phone. A free one-year content subscription puts five million square miles of hi-res U.S. maps, zoomable to 1:8000 scale, at your fingertips. The Jabra Sport Bluetooth Headphones make running with music a sublime experience. Essentially a pair of wrap-the-ear bud modules connected by a short cord that sits behind the head, they offer up stunning sound quality and a secure, comfortable fit. Start a playlist or turn on the built-in FM radio, stash your music device or smart phone, and head out for a run, knowing you can easily adjust the volume on the right earpiece without slowing down. It comes with a free download of the Endomondo Sports Tracker fitness application, which can keep track of time, speed, and distance traveled during your run. One of the challenges of running with an iPod or smart phone is that carrying a device that size can be cumbersome. (Although those who ran with first-generation Sony Walkmans in the 1980s will probably find that amusing.) There are several armband carriers available, but few come close to the AeroSport for comfort, stability, and simplicity. It’s made primarily from stretchy Lycra, which offers the necessary flexibility as your arm moves during a run, and it has an extrawide closure band that stays put without cutting off circulation. If you’re just not comfortable with earbuds while you’re running, JayBird Gear’s Sportsband headphones might do the trick for keeping your groove on a run. They’re lightweight but fit snug and don’t bounce or slide out of place, even while running fast. 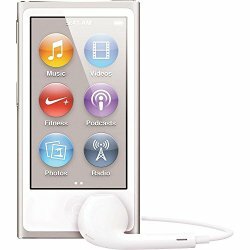 Once connected to your smart phone as a Bluetooth device (there’s a plug-in adapter sold separately to make an iPod Bluetooth-compatible), you can operate all of the controls from the buttons on the right side of the headphone apparatus. This toe-spacing device made from medical-grade silicone allows a runner’s toes and metatarsal arch to properly splay when the forefoot hits the ground to maximize stability and forward propulsion. Developed by podiatrist and competitive runner Ray McClanahan, Correct Toes can help increase foot strength and eliminate a variety of minor foot problems such as corns, bunions, ingrown toenails, and limited toe agility. It’s a relatively simple piece of equipment that has garnered rave reviews from health professionals and minimalist running experts. Unlike the other toe shoes on the market, this new one from adidas isn’t necessarily made for running. Instead, it’s best used as a training tool geared toward strengthening your feet and lower legs as you transition to minimally designed running shoes. The individual action of the toes and the on-the-ground feeling of the thin rubber outsole allows a foot to move dynamically, engaging and conditioning dozens of smaller muscles that tend to be underutilized in more traditional running shoes. Wear the adiPure Trainer for strength and form drills or for other cross-training activities such as CrossFit, weight lifting, or your next pedestal core routine. 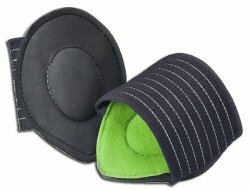 These padded neoprene arch supports, held in place directly under the elastic compression straps, are easily slipped on or off over your socks and made to be worn in or out of shoes for all-day shock absorption and pain relief. Independent research conducted at the University of Ottawa suggests that these simple Strutz Pro accessories may offer considerable, immediate relief for arch-related pain. One of the ways you can condition your feet to run in minimally constructed running shoes is to wear flat, barely-there shoes during everyday life. Invisible Shoes sells a do-it-yourself kit for making a version of huarache sandals similar to those worn by the Tarahumara Indians in Mexico’s Copper Canyon. The kit comes with a thin layer of durable rubber material (you can choose either 4 mm or 6 mm) and nylon/polypropylene laces that wrap the foot and ankle to create arguably the simplest shoe in the world. (You can also pay $40-45 to have Invisible Shoes make the shoes for you.) Running in Invisible Shoes can evoke a primal experience, one that can connect a runner to mankind’s ancient roots while also modernizing a runner’s physique and technique in line with current thinking about minimalism. You can feel the ground considerably more than in traditional shoes with thick foam midsoles, and that allows you to run with greater agility and immediately put yourself in optimally efficient running posture. For years, indoor cyclists have enjoyed virtually riding through scenic courses while sitting on a training bike in the gym. Now there are finally similar equivalents for runners on treadmills. Outside Interactive’s pre-paced DVD series ($20-$40, outsideinteractive.com) takes runners through popular running locales—including the 26.2-mile course of the Boston Marathon and through the roads and trails of Central Park in New York City—with a variety of run-specific information (including mile makers and elevation) that appear on screen. 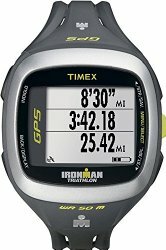 On the other hand, the AFG 7.1 AT ($2,000; afgfitness.com) and the Livestrong LSPRO2 treadmills ($2,000; livestrongfitness.com) can provide virtual-reality running workouts through a variety of cities and scenic places via high-definition, cinema-quality video footage played on a big-screen TV. The treadmills incline or decline according to the type of terrain on the screen, and the scenery speeds up or slows down depending on the pace of the runner. 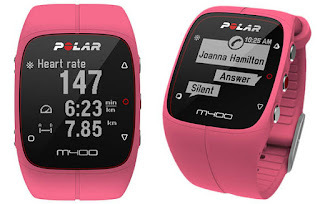 The M400 tracks all the crucial stats during a run, including time, pace, distance, heart rate and calories burned. Data can be synced and analyzed with theit smartphone app or desktop platform so you can quickly identify victories or areas that need improvement. With a :Back to Start” feature, you don’t have to worry about getting lost in a new city or unfamiliar area. The super soft band and uncomplicated design make this watch easy to fall in love with. For those of you who aren’t familiar with the concept of lactate threshold, your body produces a substance called lactate during exercise, which can negatively affect your performance. An LT test measures the amount of lactate your body can handle before your running (or other exercise) is negatively affected. In the simplest of words, BSX insight is an LT test you can take any time you want. 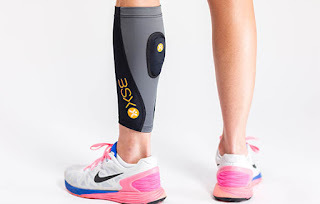 A small muscle-monitoring device fits inside a compression sleeve worn during runs to constantly track the amount of oxygen being supplied to your muscles and the rate at which your body is removing lactate. The corresponding mobile app lets you take a true LT test or simple track your body during a daily run. Either way, the workout summary provides all the information you need to understand the level at which your muscles are performing-or not performing-at various tages of your training schedule. Note: we found that the app is not very phone battery-friendly, so be sure to force-close it after each workout. The Surge is Fitbits answer to the traditional running watch, providing basic tracking capabilities like mileage, pace and heart rate. What makes the surge stand out, however is the addition of text and call notifications, sleep tracking and the ability to control your music playlist. With a battery that lasts up to seven days, you can spend less time charging and more time on the go. 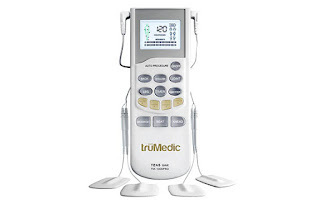 For those of us who cant get to masseuse or chiropractor as often as we’d like, enter the trumedic TENS unit. Usability is super simple, with clearly labeled buttons that correspond to the area of the body you are targeting and indicate intensity level and treatment time. Considering how small and simple the milestone Pod is, the amount of data you get from it is pretty substantial. 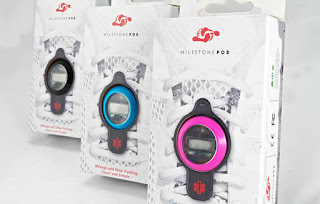 Simply lace the device onto your shoe and hit the road. At the end of your workout, you’ll have access to a plethora of stats on your running style, including foot strike, cadence, stride length, leg swing and more. The product app also tells you ideal stats, so you know how far away you are from perfect form. It seems as though everything these days is becoming “smarter,” and that even includes the insole of your shoes. The sensors in these lightweight, flexible insoles track your running form, stress points and consistency throughout your workout. 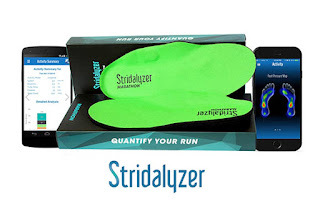 The insoles connect to an app that provides real-time alerts to highlight stresses your body may be experiencing during a run. The app also provides guidance based on your results, offereing advice to strengthen certain muscles, improve your stride or correct inconsistent joint stress. Note: Recommend making sure the insole are fully charged before each run. Otherwise, you’ll have a hard time connecting them to the app. Tracking an athlete’s power output has been a proven training method in cycling for years, and now stryd has brought the concept to the running world. Using power metrics allows you to pinpoint from errors of sources of wasted energy to become a more efficient runner. As compared to heart rate, power measurements are more effective as a training metric because they take into account environmental conditions and poor running form. 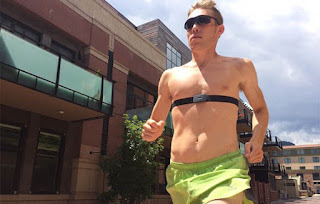 The Stryd lightweight sensor attaches to a heart rate monitor strap and connects with most brands of running watches. During your training, the sensor tracks your body’s power output, displaying the metric in watts. This number is shown in real-time on your watch or training app, and workout stats are synced with the Stryd platform where you can compare your runs to previous workouts. Sometimes, you don’t want to wear a giant running watch on your wrist all day. 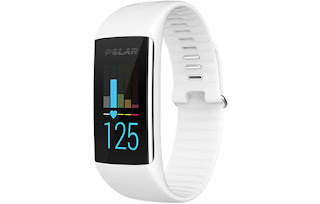 The polar A360 solver this problem, and it’s a great way to track your daily fitness levels while not running. The sleek device-which comes in five colors-tracks steps, distance covered and calories burned, while providing an on-demand heart rate taken from the wrist. 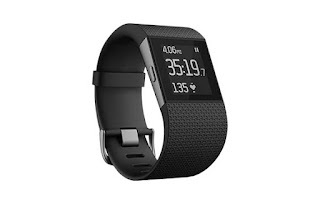 It has eight training modes, so it can be worn during a variety of exercises (including swimming), but is understated enough to be worn during the day as a general fitness tracker.